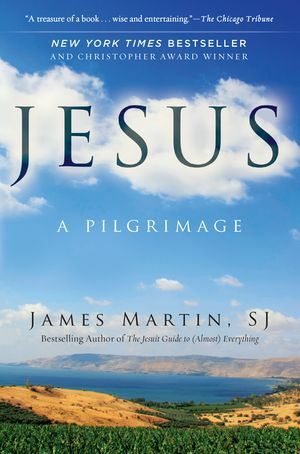 James Martin, SJ, gifted storyteller, editor at large of America magazine, popular media commentator, and New York Times bestselling author of The Jesuit Guide to (Almost) Everything, brings the Gospels to life in Jesus: A Pilgrimage, and invites believers and seekers alike to experience Jesus through Scripture, prayer and travel. Combining the fascinating insights of historical Jesus studies with profound spiritual insights about the Christ of faith, Father Martin recreates the world of first-century Galilee and Judea to usher you into Jesus's life and times and show readers how Jesus speaks to us today. Martin also brings together the most up-to-date Scripture scholarship, wise spiritual reflections, and lighthearted stories about traveling through the Holy Land with a fellow (and funny) Jesuit, visiting important sites in the life of Jesus of Nazareth. The person at the heart of the Gospels can seem impossibly distant. Stories about his astonishing life and ministry—clever parables that upended everyone's expectations, incredible healings that convinced even skeptics, nature miracles that dazzled the dumbstruck disciples—can seem far removed from our own daily lives, hard to understand, and at times irrelevant. But in Jesus you will come to know him as Father Martin knows him: Messiah and Savior, as well as friend and brother.